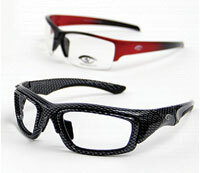 SafeVision® provides uniquely designed, extremely durable, ANSI Z87.1 approved prescription safety eyewear. We offer Corporate clients specifically tailored programs and an easy way of ordering prescription safety eyewear by using our web based ordering system. We also offer many specialty frames, and have solutions for customers with fit issues, Rx complications or job specific needs.